Heritage homes are unique and have many wonderful characteristics that many modern homes do not have. Although these homes are beautiful and historic, they can waste a lot of energy if your home is not properly equipped. 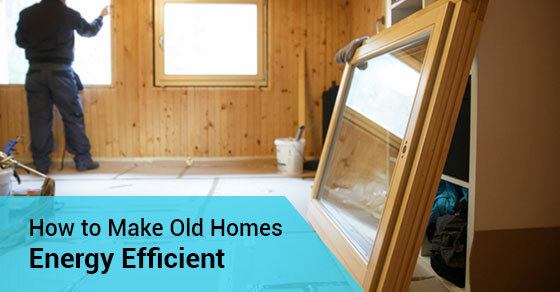 If your home isn’t properly renovated and has things like cracked window glass and uninsulated pipes, this could mean that you are wasting a lot of energy. Heritage homes built before 1919 need specific maintenance and, therefore, trying to install insulation or double glazing is inefficient and can lead to dampness problems. Many old buildings are overdue for maintenance, which can lead to wasted energy. Fixing the window panes and cleaning out gutters and drains will prevent your walls from staying damp and cold. Explore options with the least impact on the home’s fabric that are more convenient and cheaper to do. For example, things like turning down the thermostat, investing in thicker curtains, and draught-proof strips for windows and doors can be a quick-fix before you dish out a large amount of money. Also, get rugs that can block air infiltration and will help keep your feet warm. Maintaining the house’s fabric and heating system consistently rather than waiting until it’s overdue can save you both time and money. Keeping your home in a good state of repair can make a big difference, and in most cases is likely to maintain or even improve the heritage value of a home. Consider when and how you use your home and think about when you need the thermostat on or off. You can switch your boiler controls from a timer to a programmable thermostat and switch it off when you can. Make sure the controls and timers are set correctly. About 25% of heat is lost through the roof, but the cost of insulating the roof is usually less expensive than the cost of solid wall insulation. It would be more cost efficient to insulate the roof before any other maintenance. In comparison, 35% of heat is lost through the walls, 15% through the floor, and 25% from the windows and draughts. Historic buildings have separate open fires to heat each room, which is more efficient than all at once. With today’s technology, we can recreate this by manually controlling thermostat valves. When it’s time to think about the big investment, focus on how you generate and distribute heat in your home and ask for advice if you don’t know what to do. Heritage homes are beautiful, but can be a hassle to maintain if you don’t know what needs to be done. Avonlea Kitchen and Bathroom Concepts is a company that specializes in the design and construction of beautiful kitchens and bathrooms in the old homes of Toronto. To learn more about Avonlea Renovations, contact them at (416)-907-4764 or here.